With the promise to ‘develop and save Pakistan’, Pakistan Peoples Party (PPP) Chairman Bilawal Bhutto Zardari has put forth election manifesto of the party. 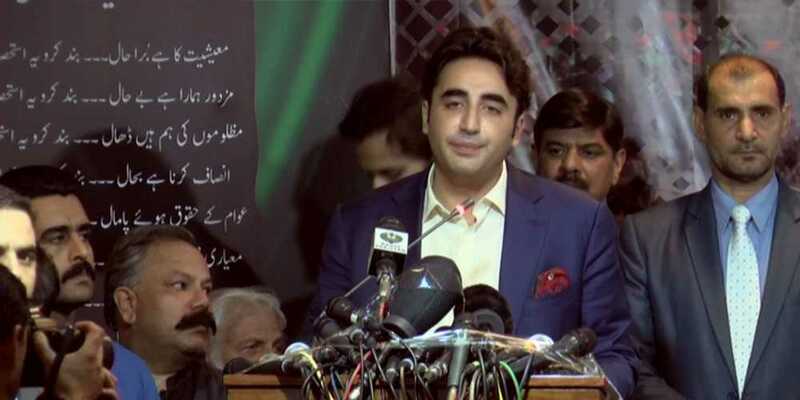 Addressing a ceremony in Islamabad on Thursday, Bilawal said: “This election manifesto marks the practical beginning of my political life and I would like to present the solution to the grave issues facing the country at the moment. Today’s Pakistan is confronted with a host of issues and we will offer solutions to resolve all of these problems, he said. Bilawal said that Pakistan today is under debt and is being isolated on the diplomatic front, adding that “we will include Fata in the national mainstream as soon as possible.” He said his party will continue struggle to establish the South Punjab province. The PPP chairman said that the party has focused on resolving issues pertaining to education and health and other basic necessities. “We will also focus on resolving two major issues perturbing the youth: unemployment and opportunities,” he vowed. Bilawal said the rulers need to ensure there’s no exploitation of the weak and the marginalized. He went on to say that not working to resolve the water scarcity issue would be an injustice with future generations.